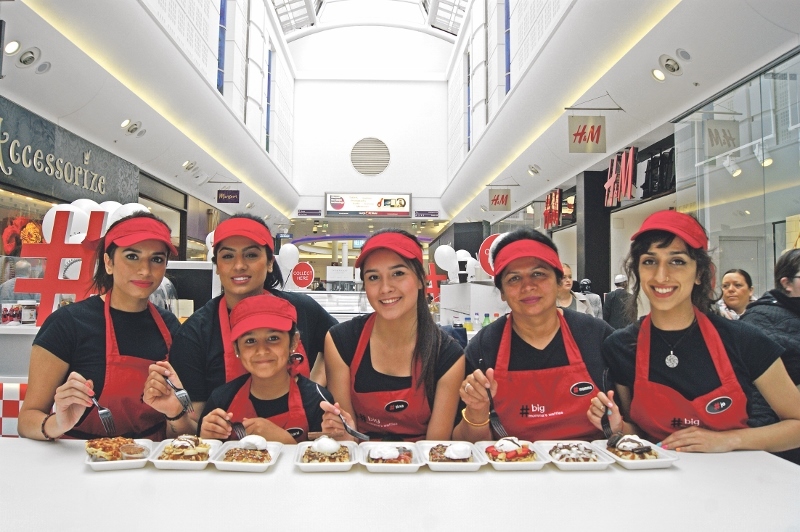 Big Momma’s Waffles is the business dream come true for entrepreneurs and sisters Harpreet and Gurvinder Kaur. They have always wanted to launch their own business and with Big Mommas Waffles they feel they have found the perfect recipe. Harpreet and Gurvinder recognised an emerging trend for people looking for “dessert spots” while they are shopping and wanted to look for and find a suitable gap in the market. So they explored their idea and, inspired by their own big momma “Jas” , developed their brand around their love for all things sweet; something different to get the taste buds watering and attract all ages. Which is why they have developed their offer and menu to include a range of sweet as well as savoury waffles, toasties and delicious milkshakes. A little something special for everyone to compliment the shopping experience. Working with the Chamber’s Start Up team they were able to run their idea past a business adviser to make sure they had everything in place for a successful launch. Harpreet and Gurvinders sweet taste and smell of success can be experienced at the white Rose Centre Leeds. If you are looking to put your dream into practice, research a business idea , or, if you need help to identify a gap in the market, raise finance and put a business plan together simply contact the Start & Grow team for help and guidance. The Start and Grow programme is available for those looking to start a business, that will require start-up funding to get it off the ground and expect to employ people from its early stage. The programme will offer guidance, help and introductions to funders as well as offering support to get a robust business plan together. – The main trading address or home address of one of the owners falls within an approved local authority area. – The business owner/owners will be fully engaged in the business. – The business will create at least one additional job. – The business is expected to benefit from investment – either personal equity or a loan/grant. Are you are about to launch a business? then contact the Start & Grow team.